The role of the modern physical security professional has become more eclectic over the years. 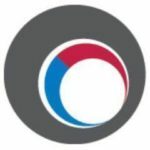 At the very least they now generally need to understand the language of cybersecurity, while their role may well encompass elements of fire safety, facilities and health and safety. The infographic below is based on the periodic table everyone will have encountered in school science lessons, substituting for chemical elements the technological disciplines and concepts central to the modern security sector. First published in 2014 it has been updated to accommodate emerging phenomena like the internet of things and home automation. 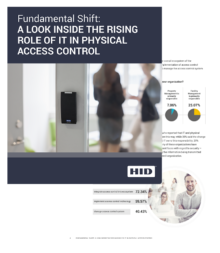 Download the white paper now to discover how your organisation can create a safer and more convenient environment through a unified approach to access control. 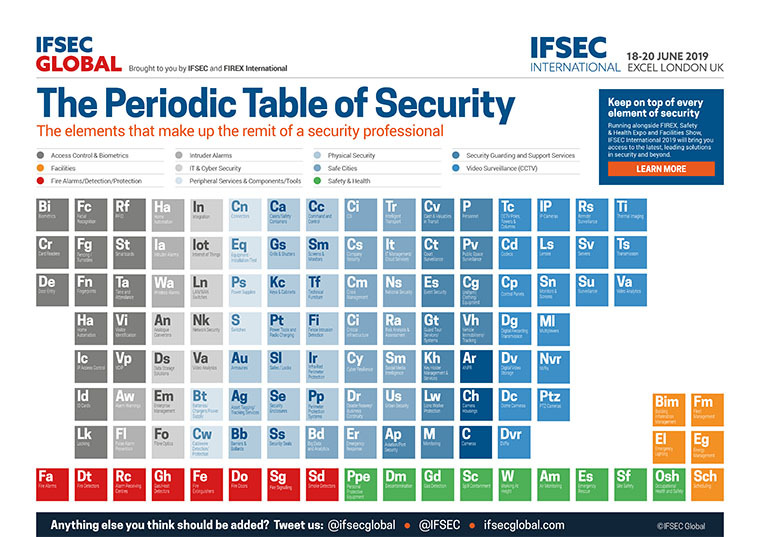 The periodic table of security This infographic is based on the table everyone encountered in school science lessons, substituting for chemical elements the technologies and concepts central to the modern security sector. First published in 2014 it's been updated to accommodate emerging phenomena like the IoT.